French Bulldogs are physically unique and adorable. They are of the small dog breed family. Although they are small and compact, they seem to make up for their smallness with energy and enthusiasm. In addition to their high level of energy, Frenchies are very intelligent, sociable and fun-loving. In order to keep up with their energy level, there is a need to put them on regular exercise, as well as feed them with a high-quality diet. Many people today think that dogs need to eat a diet that is similar to an ancestral diet that wolves might eat. Or that dogs need ingredients that are similar to the things humans eat. Neither of these approaches to feeding dogs is true. Dogs have evolved in the last 15,000 plus years of living with humans to eat a diet that is different from what wolves eat. They are still dogs, however, with a dog’s gastrointestinal system. Your dog won’t thrive or get the nutrients he needs by eating foods that sound appealing to you. He can’t digest many of the foods that you enjoy, for one thing. 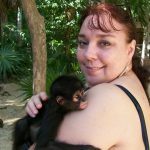 You and your dog don’t have the same digestive system to absorb nutrition. Many of the things people believe today about dog food are based on pet food marketing instead of nutritional facts. 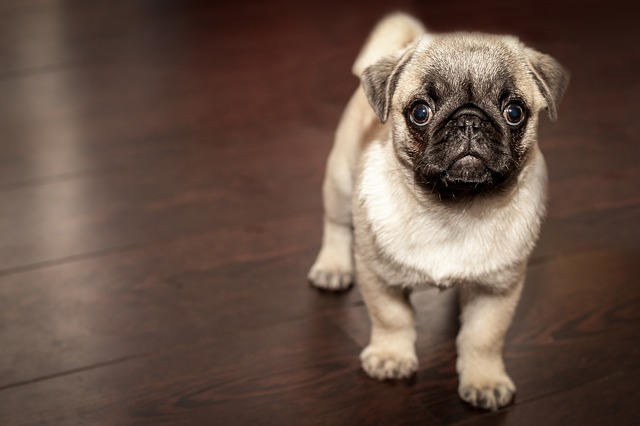 The criteria we use in selecting the best dog foods for French Bulldogs and other breeds comes from the World Small Animal Veterinary Association. The food should meet AAFCO approval, preferably by means of a food trial instead of a nutrient profile. We like dog food companies that have nutritional research to back up their formulations. Pet food companies should have canine/veterinary nutritionists on staff to formulate their foods. A pet food company needs to have strong quality control measures and be willing to discuss them. Good nutrition for your dog is more important than clever marketing. Choose the dog food that is most nutritious for your dog even if the ingredients don’t sound appealing to you. You’re not going to be eating the food, your dog will. There’s a world of difference between what’s good for you and what’s good for your dog to eat. 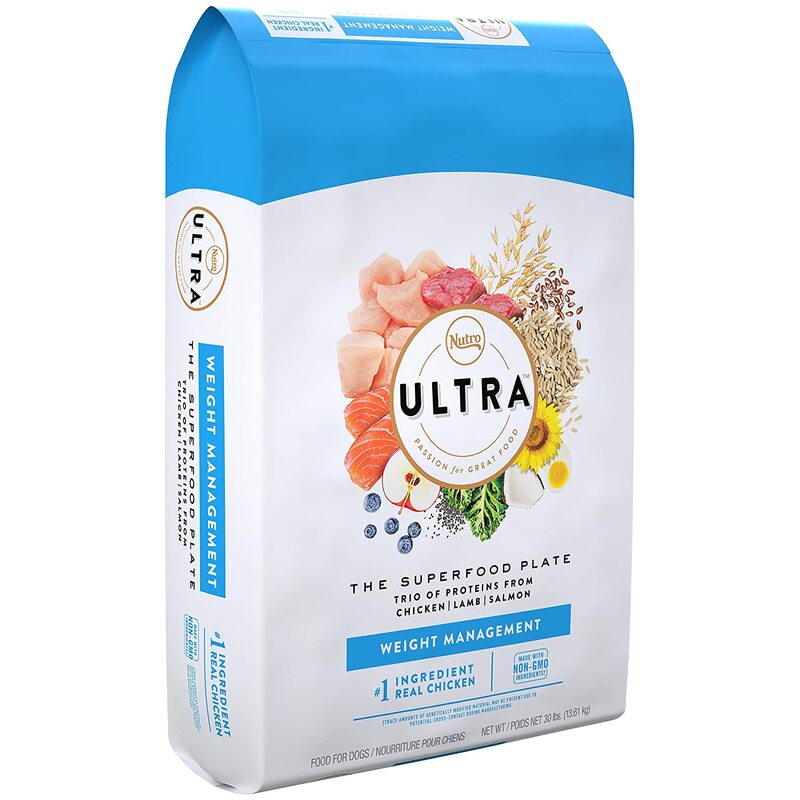 We also consider the recent warning from the U.S. Food and Drug Administration about a possible link between grain free dog foods and dilated cardiomyopathy (DCM) in dogs. DCM is fatal if left untreated. The FDA’s investigation has expanded to include exotic proteins in dog foods. You can read the latest research in the Journal of the American Veterinary Medical Association. The dog food market is awash with a lot of assorted brands. So there is every tendency to pick the wrong type for your friend. However, you cannot afford to get it wrong when deciding to buy your Frenchie. Your pet deserves a befitting diet. That is why we provide this list of the best dog food for your French Bulldog. 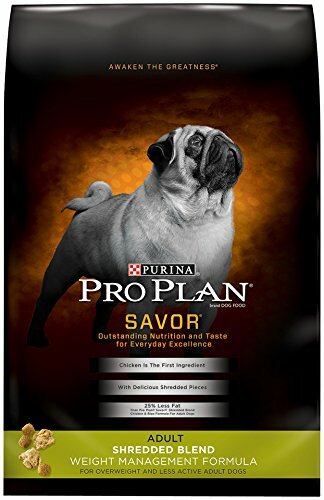 The Purina Pro Plan Savor Dry Dog Food has premium quality protein. It has real chicken as its number one ingredient. This formula is a unique blend of crunchy kibbles and tender meaty pieces. It provides an awesome taste and textures your Frenchie will love. In addition, the natural probiotics fiber in this diet is from wheat bran. This helps support beneficial bacteria in the GI tract as well as enhance the digestive system of your dog. Furthermore, your canine companion’s overall health will be boosted by the complete and balanced nutrition. The Taste of the Wild Grain-Free High Protein Natural Dry Dog Food is a blend of the protein-rich recipe for lean strong muscles. This is a unique diet that has all ingredients derived from the natural sources. Also, fruits and vegetables serve as superfoods in this formula to supply natural antioxidants. Moreover, this help gives your pug a generally healthy lifestyle. Also, there is an addition of adequate vitamins and minerals with a blend of fatty acids for healthy skin and coat. With this formula, your active Frenchie will have access to easily digestible energy. 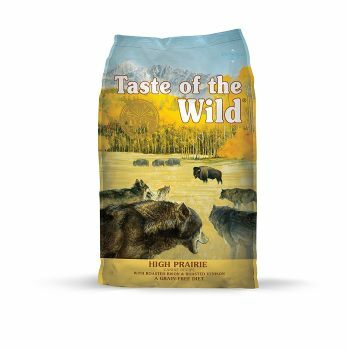 Overall, the Taste of the Wild Grain-Free High Protein Natural Dry Dog Food contains no grain such as corn, soy, or wheat. This means your friend can enjoy his meal without any fear of an allergic reaction. The Nutro Ultra Weight Management Adult Dry Dog Food is specially formulated for overweight adult dogs to help maintain a healthy weight. It is a perfect blend of three protein sources including chicken, lamb, and salmon. Each kibble you serve your pooch is a combination of high-quality ingredients. As a result, your friend’s diet is a complete and balanced nutrition. In addition to the protein-rich sources, Nutro also enriched the formula with 12 different vibrant superfoods. For your information, some of these superfoods include chia, kale, blueberries, coconut, whole flaxseed and several others. Another major plus of this brand is that there is a recipe for dogs of all ages and breeds. 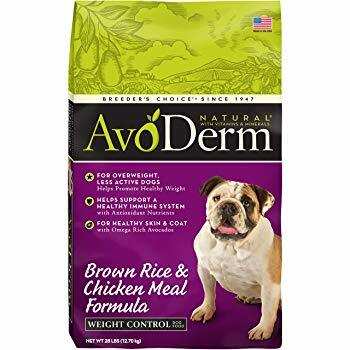 The AvoDerm Natural Health Solutions for Senior Health, Joints, Weight Control is a reduced fat and low-calorie diet. It helps overweight and less active dogs come alive. This is going to be a great way to turn the blurry skin of your senior Frenchie around since it is made with California avocados. An ingredient is best to promote skin and glossy coat. On top of that, it helps boost the immune system and promote the overall health of your dog. Moreover, it is a diet with all natural ingredients. It also contains no corn, soy or wheat that may trigger allergies in dogs. All the essential vitamins, minerals and antioxidants necessary for your maintain a healthy life and immune system. Therefore, you can serve your canine friend this AvoDerm recipe with confidence. 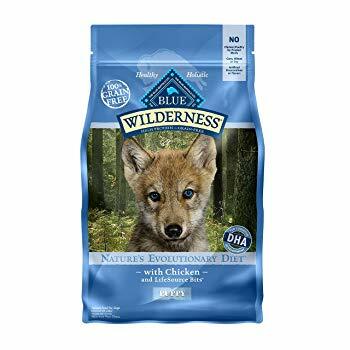 The Blue Wilderness High Protein Grain Free Puppy Dry Dog Food has real, deboned chicken as the number one ingredient. This is blended with chicken and fish meal to help build and maintain strong muscles. In addition to the presence of premium quality protein, an important fatty acid such as DHA is also included. It is the type of fatty acid available in mother’s milk meant to enhance healthy development of cognitive learning and eye function. Your Frenchie’s diet has a lot of vitamins and minerals. These macronutrients are properly mixed with antioxidants to support immune system health, life stage requirement, and overall health. All in all, this protein-rich formula will surely help your pup develop strong bone and a healthy lifestyle. French Bulldogs are a unique breed and should be treated as such when it comes to their dietary and nutritional needs. They are generally active and will need an adequate amount of calories and proteins. However, the number of calories and diet you feed always correspond to their level of energy and activity. Your Frenchie will need premium rich protein sources to be included in his diet. As a matter of fact, proteins should be derived from at least two real meat sources. Some of these ingredients include fish, chicken, beef, and lamb. Accordingly, AAFCO recommends that puppies will need about 22 percent protein while 18 percent is ideal for adults. Also, French Bulldogs should consume calories in proportion to their body weight. For instance, a Frenchie weighing about 25 pounds should consume calorie between 500-600 kcal per day. On the contrary, senior dogs will need fewer calories in their diet. In addition, ensure your dog food has essential nutrients such as vitamins and minerals. 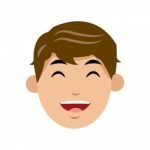 But fillers and preservatives should be excluded from his diet because they have the tendency to add to his overall weight. Wheat also, in particular, should be avoided. Since it causes flatulence in bulldogs, it is better to have it off the list of ingredients. Carbs – Although carbohydrates are very essential in French Bulldogs’ meals. It is advisable to keep the quantity as low as possible. Above all, these carbs must come from complex plant sources such as sweet potatoes. 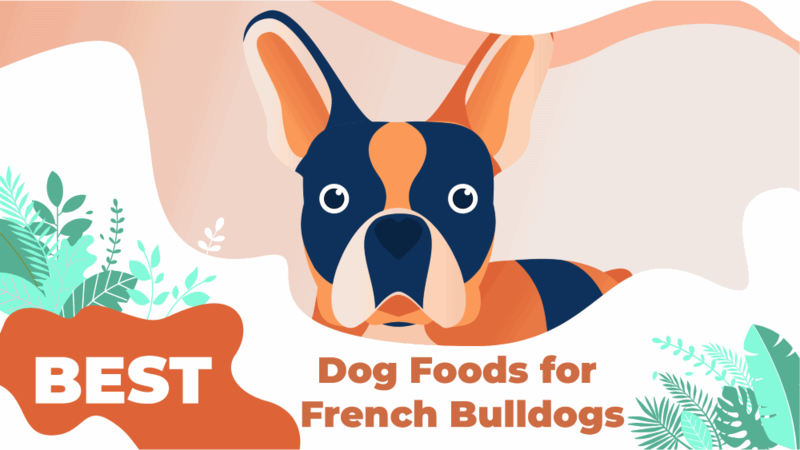 Since Frenchies are prone to food allergies, grains like soy, corn, and wheat should be avoided. Fats – Fat is an important part of a dog’s diet. It makes their food taste better. It’s a source of energy. And fatty acids such as omega-3 are good for your dog’s skin, coat and brain. Some vitamins such as A, D, E, and K are fat-soluble so your dog can only use them when they are dissolved in fats or oils.. For instance, the AAFCO stipulates 8% for puppies and 5% for adults. Fiber – French Bulldogs need fiber for good digestion. Fiber exists in both a soluble and insoluble form. Soluble fibers include ingredients such as chicory, inulin, and beet pulp. Soluble fiber pulls water into your dog’s gastrointestinal system so the digestive matter turns to gel. This slows the digestive process.Insoluble fiber does the opposite. It adds bulk to the matter in your dog’s digestive tract and speeds up its passage through your dog’s system. Mineral and Vitamin – Some of the essential micronutrients your dog’s meal should have are calcium and phosphorus. The proportional ratio of these nutrients in the Frenchie diet is expected to be about 1.2 to 1 respectively. Note that an inappropriate amount of calcium can cause orthopedic issues. 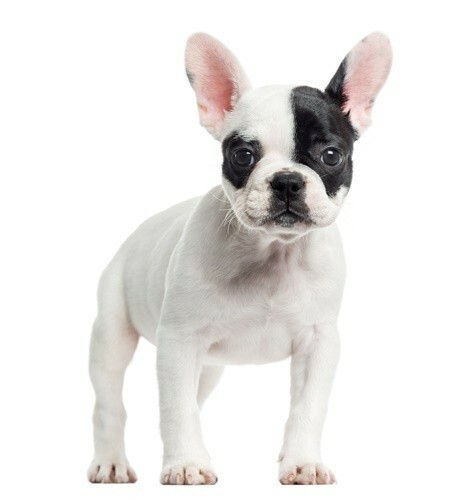 Puppy – A French Bulldog puppy weighing up to 12 pounds should be fed about 500 calories per day. This can be served between 3 to 4 times daily. 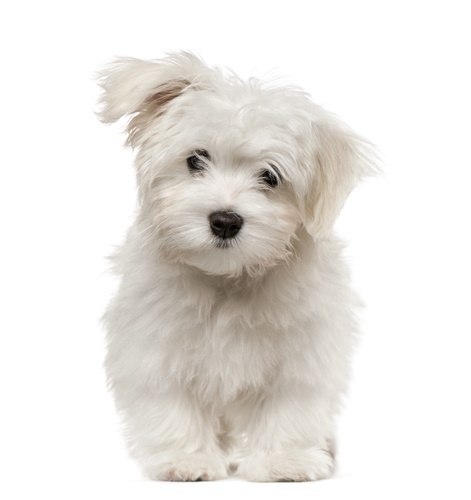 Adult – It is at this stage that most of this dog breed reach about 90 percent of their growth potential. According to ANRCNA, a Frenchie with the weight of about 25 pounds should take on the average 780 pounds of calories per day. Senior – Senior French Bulldogs are less active and may start to lose some of their muscle strength. It is therefore important that they are fed considerably with protein-rich, nutritious diet. Since they have the tendency to gain extra pounds, it is advisable to lower their calorie intake. 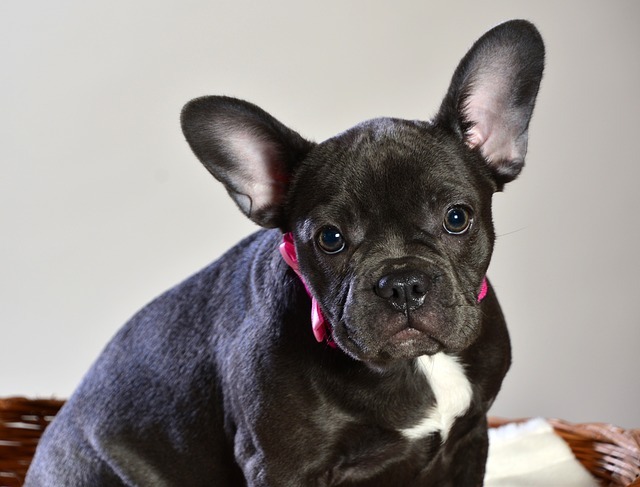 French Bulldogs have the tendency to develop some food-related health issues. Let’s quickly consider some of the common ones. Allergies – Your Frenchie is very prone to food allergies. Common culprits of food allergies are food items such as beef, corn, cheese, milk and several other dairy foods. It is possible that some of these dogs are allergic to even chicken, lamb, soy, and fish. Some of the symptoms of food allergies are scratching, vomiting, licking a lot and dry red spots on the skin. Therefore, if you notice any of these signs, you may need to change to a hypoallergenic diet. Farting – Poor dieting can result in excessive farting. It may also cause foul smelling poops all over the place. A common condition is a food packed with low-quality fillers. However, if you identify this condition in your dog, you may need to switch foods containing more natural, premium quality ingredients. Hypothyroidism – This is the health condition that often limits the ability of the thyroid gland to secrete adequate hormones in bulldogs. It makes it easy for them to add weight. One way to combat this health issue is by giving your Frenchie a diet rich in protein with less simple carbohydrates. By and large, you must be well informed about the various nutritional and dietary needs of French Bulldogs to take care of them well. For emphasis, this type of dog breed are very unique and energetic. They are also fun-loving and sociable. Therefore, look through the list of recommended products to see what you can do to take care of them better. Damilola's relationship with dogs started back when he was a child. His family had a beautiful, smart Australian Shepherd. It was then, he found a great interest in canines, which would later turn into his desire to learn and understand more about them. 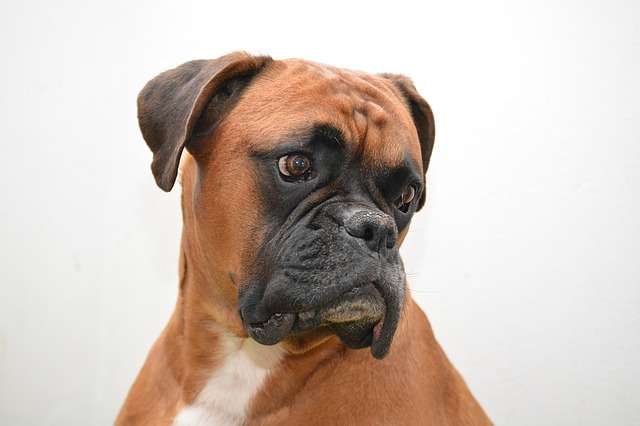 Dami has taken several courses on Canine Behavior and Training.